An Altitude Valve is a mechanically operated control that relies on a differential of pressure between inlet and outlet to assume a level of water, and control its flow when the supply pressure becomes much higher than the head developed by the full reservoir or storage tank. Frequently used in supplying water in high-rise buildings, ground storage tanks or reservoirs, they have also traditionally been used in remote areas where modern equipment used to be at a disadvantage due to lack of electricity. Today, with cheap reliable batteries and solar power readily available, an upgrade to modern equipment with proper monitoring and alarm systems is within easy reach. 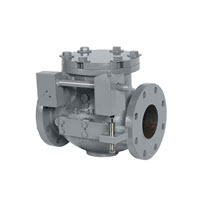 In many climates low temperatures can be an issue when a mechanical valve is used. 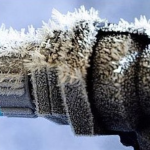 While in the past a layer of ice on the water surface could render a float valve inoperative and make a remote altitude type valve seem a good choice, today an electronic sensor can include temperature monitoring and reporting/alarm status when the potential for freezing arises. Even smaller water suppliers who used to be concerned with costs of upgrading find that between the lower costs of electronic controls, the lack of maintenance issues or failures, along with remote activity reporting and monitoring, modern electronic sensor level control systems are helping relegate altitude valves to situations where conservation, reliability and supervision are not required. Obviously, directly measuring the level of water with a sensor is many times more accurate than a pressure differential assessment. Consideration must also be given to the inlet pressure, to ensure it is always greater than the water level head pressure. Too low a pressure will cause the system to equalize the inlet and outlet pressure, and without a differential pressure, the valve will be stuck, trying to fill but never reaching the max level. With no differential pressure the system fails, with no water flowing in or out of the tank. Waterline Controls’ Liquid Level Controls Systems can operate from Solar powered panels that produce 30vdc, or a battery system charged via solar panel. All systems can connect to a Fire Panel or building management system for full monitoring and fault reporting, with alarms. 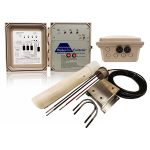 Without the maintenance and costs of altitude type controls, with advanced monitoring and reporting, full automation compatibility and extreme reliability, there is no reason not to upgrade to modern reliable systems that take into account our responsibility to properly manage and conserve our limited and important water supply.